Nothing embodies autumn more than pumpkins, from decoration to dishes, pumpkins are everywhere. 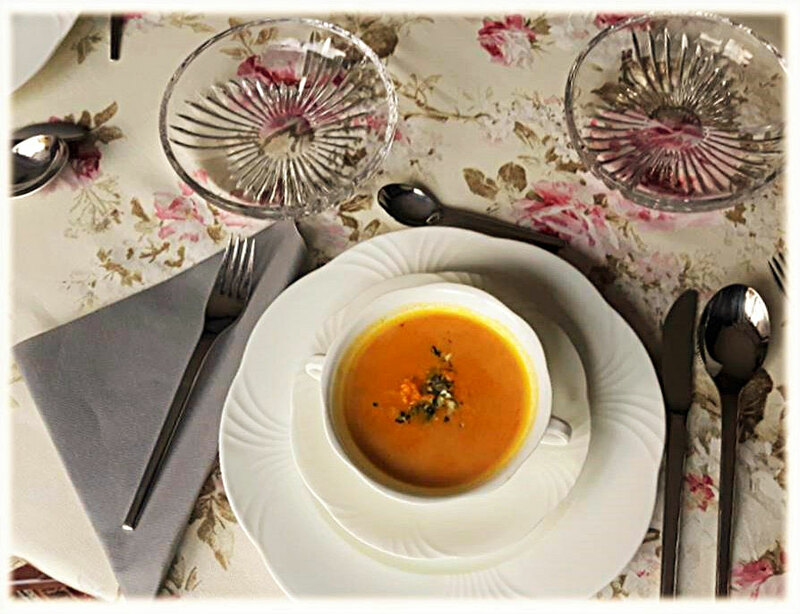 So just in time before this season ends, a delicious and quick pumpkin soup recipe. 1. Dice the onions and fry them in hot oil until glassy. 2. Briefly, steam the curry with the onions. (retain a little bit of the pumpkin), bring it to boil and simmer. 5. Season with orange juice, coconut milk, ginger, salt and a pinch of sugar. 6. Beat the cream till almost stiff and fold it under the soup. 7. Cut retained pumpkin into fine stripes and together with the pumpkin seeds, sprinkle it over the soup. Let me know, if you gave it a try. Until then, have a good one. Habe heute die Suppe gekocht. Ganz,ganz lecker.